This past year has been an unprecedented one for European tech startups, with record levels of investment, and several multi-billion dollar exits. It has been a year of results–of dividends paid based on several years of thoughtful regional development and growth. I sat down with PJ Parson, General Partner at Swedish venture capital firm Northzone and the #2 venture capitalist on Forbes’ Midas List Europe 2018, to discuss what to take away from European tech in 2018, and what to look out for in 2019. Parson is uniquely qualified to speak about 2018 European tech takeaways and 2019 predictions, based on the pivotal role he played in the success of European tech this year: as Spotify’s first external investor and a member of the Board of Directors at Northzone portfolio company iZettle, Parson had a career defining year thanks to Spotify’s successful US$26 billion IPO and PayPal’s acquisition of iZettle for US$2.2 billion. Here are Parson’s insights on how far European tech has come in 2018, and where it will go in the year ahead. Reaching critical mass: 2018 is the year that European tech showcased what it’s capable of on a global stage. The regional ecosystem has scaled and its member countries, many of whom were not in a position to support large-scale startup growth just a few years ago, continue to mature. The increasing number of well-oiled technology startup hubs have undoubtedly contributed to the global success of European startups in 2018. With Amsterdam-based payments startup Adyen and Lisbon-born fashion retail platform Farfetch both achieving successful IPOs, Europe’s startup success is no longer confined to London, Berlin, Paris, and Stockholm. A recent report released by investment firm Atomico recognized that founders in Europe today feel more equipped than ever to build companies in their own countries, with 64% of surveyed founders stating they would build their company where they are now. Furthermore, the connectedness of hubs throughout Europe drives the success of the region as much as the development within each hub, through the migration of talent as well as operations and capital. Proven success model: many European startups that have scaled over the past several years and experienced success in 2018 have followed a similar blueprint. Take the three companies with exits in 2018 of over US$5 billion–Spotify, Adyen, and Farfetch. These companies differentiate themselves and provide value through business model innovation and product design more than cutting edge product creation. They offer users a superior experience, but one that is within a familiar technology space. They target large industries with large markets, specifically those industries wherein incumbents have not been able to keep pace with the rate of digital disruption, from entertainment to financial services to retail. Moreover, each of the above companies has been around for over 10 years, and took time to thoughtfully scale and mature, ultimately choosing to go public rather than exit through acquisition at an earlier stage. This build-to-scale mentality–of risk tolerance, patience, and long-term vision–is characteristic of a more seasoned European ecosystem. Access to talent: apart from the maturation of startup hubs throughout the region, and a shift in founder mindset from short-term growth and disruptive product development to long-term growth and business model innovation, a key success factor for European tech in 2018 has been improved access to talent. Technology recruiters today are able to attract a different caliber of candidates compared to just a few years ago, including talent from top engineering and business programs. This results from a shift in the perception of risk inherent to working in a startup environment weighed against the potential reward. Today’s growth-stage startups offer greater stability and greater upside compared to 5 years ago. That said, a portion of the talent that has served hubs like Berlin and Stockholm came from Southern Europe during periods of slow growth. Much of this talent pool has already been absorbed, and a steady stream of post-graduate talent in needed going forward to feed demand in the region’s hubs. Capital efficiency: European startups received substantially less capital than their counterparts in the U.S. in 2018: US$23 billion invested in European startups v. around 4x that amount invested in the U.S. Additionally, institutional capital is currently lacking in the European tech market. However, The European tech market is far more capital efficient than the U.S., as judged by exit values relative to funds raised. In the U.S. market, with its plethora of capital options, startups often get priced-up and end up overvalued. This proves dangerous in times of capital market volatility, when the financial health of an overvalued company is particularly susceptible to market fluctuations. These factors all contributed to the success of European tech in 2018. But, what will success look like next year, and will the ecosystem live up to the hype it has just generated? Experienced advice & capital: given the success of European startups in 2018, there will be a new wave of innovation and investment in 2019 driven by repeat entrepreneurs and angel investors who invested in or worked at Europe’s startup success stories. These individuals will not only invest their knowledge and capital into their native startup hubs, but will also serve as role models and examples for emerging founders and startups. This wave of re-investment must not be undervalued, as it can ignite exponential growth in the years to come. 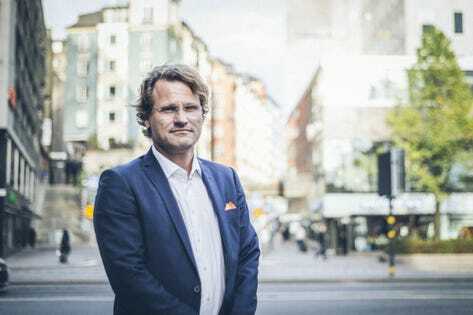 The Stockholm startup hub offers a clear example of this development. Inroads in healthcare tech: healthcare tech is primed for disruption in 2019, with an emphasis on integrating artificial intelligence into healthcare products and platforms. Most European countries have a single payer insurance system, so if and when healthcare tech startups are able to gain traction by convincing this single party of the value they create, they are able to scale very quickly. Additionally, healthtech is starting to play a more prominent role in legislative discourse surrounding ways to improve the public healthcare system. One example of a prominent European healthcare tech startup on the rise is BenevolentAI, a British company applying artificial intelligence to the drug discovery and commercialization process. Impending market correction: Parson predicts unrest in capital markets in 2019, and has advised Northzone companies to raise money when they can in anticipation of this correction (Northzone companies raised more than US$800 million in 2018). Historically, capital market unrest has led to a slow down in funding activity. Incentivizing success: many European markets have yet to implement stock option incentive schemes geared towards startups. In Sweden, for example, employees are taxed heavily either through market priced options requiring employees to pay upfront (and which are taxed as capital gains), or employee stock ownership plans (ESOPs). Estonia is the only country that has effectively fixed this issue. A better solution is sorely needed to attract and retain top talent. With a memorable 2018 wrapping up, the time has come for the European tech ecosystem to demonstrate whether it can sustain its momentum and growth in 2019, and whether the successes of this past year will accelerate a new generation of tech entrepreneurship in the region.